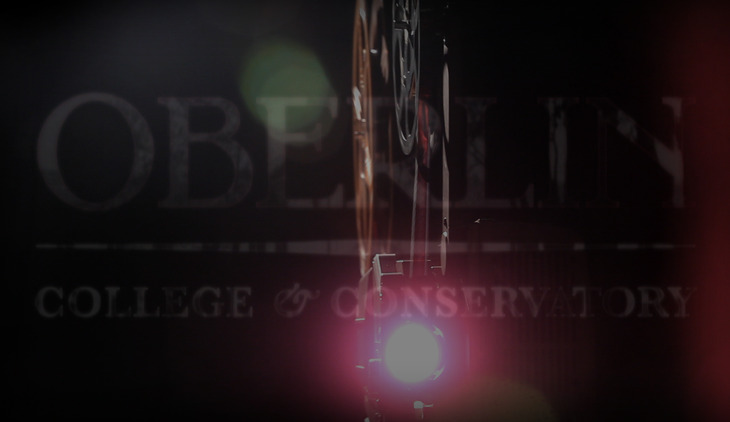 When it comes to potential for excellence and innovation, Oberlin is in a class by itself. One reason for this is the distinctive combination of resources we offer. Nowhere else on the planet does a top-tier liberal arts college come together with a world-class conservatory on a campus that also features a premier art museum. The three work together to create unprecedented opportunities for learning. Then there is the design of learning at Oberlin, with its goal of helping students form knowledge on their own. And further, a huge part of Oberlin’s innovative spirit is a function of who comes here to learn. Our reputation as a forward-thinking institution attracts trailblazers, groundbreakers, edge-of-the-envelope pushers — young people who come here to imagine, take risks, invent, rethink "the impossible." An Oberlin education fuels their desire for original paths to a degree, and prepares them to go on from here to success in every field imaginable. New funding will support the Center for Languages and Cultures, strengthen quantitative and formal reasoning skills through the creation of a new academic center, leverage new media and technology and improve writing and communication skills. Endowed funding for internships and winter term projects will allow more students to participate without taking on additional financial burdens. The creation of a revamped Career Center will increase the ways students can tap into the Oberlin network and connect with community members who are in a position to open career paths for them. New endowed funding will advance efforts to integrate the resources of Allen Memorial Art Museum and the conservatory into all areas of learning. Campaign dollars will support curatorial positions and internships to broaden use of the museum collection in teaching and research, and will fund cross-disciplinary course development, enabling us to offer more courses of a design that Oberlin alone is positioned to offer. New funding will accelerate the creation of a Center for the Advancement of Music and Related Disciplines. Resources will promote interdisciplinary work and collaboration between students and faculty in music, art, and related disciplines, and will make possible a range of ambitious artistic endeavors. These project-based initiatives will greatly amplify the educational and professional development of our students. A new Center for Creativity and Leadership will serve as a launchpad for student innovation and entrepreneurship. This unique program transforms students through experiences and curriculum and prepares them to start new companies or work effectively in any business endeavor beyond Oberlin. The campaign will support project development and student internships, and will grow the pool of funds we use as seed money, enabling student entrepreneurs to launch high-potential projects in their first year after graduation. New funding will support the Center for Languages and Cultures, a nucleus of curricular innovation that infuses global themes throughout all areas of study. The Andrew W. Mellon Foundation recognized the center’s importance with a $500,000 matching grant; campaign dollars will complete the 3:1 match. Quantitative and formal reasoning skills are essential for all areas of study. Funding will support the creation of a new academic center that aims to integrate quantitative analysis and data-informed reasoning into all majors and programs. Technological advancements enlarge the world, making it possible to communicate, create, teach, learn, and connect in new ways. New funding will improve our ability to use streaming, remote learning, and new media to improve the classroom experience. Funds will also make it possible to digitize the music collection and museum and library resources, greatly expanding their use. Superior writing and communication skills are huge assets in every walk of life. The technology-driven increase in ways to communicate makes the teaching of these skills all the more important. The campaign will fund the development of writing-intensive courses across the curriculum, and will support student peer mentors to assist faculty. When we ask Oberlin graduates what out-of-classroom experiences were most powerful in preparing them for their professional lives, the most common answer is internships. Many are unpaid, however, putting them beyond the reach of students who hold jobs during the school year or need income in the summer to pay for college. This endowment will make internships possible for all students. During winter term, students undertake an eclectic range of intriguing projects in the U.S. and abroad. Students have explored music in Panama, film in Prague, organic farming in Oregon, and refugee policy in Belgium. Many students forego rewarding winter-term projects, however, because they can’t afford them. New funding will allow more students to participate without taking on additional financial burdens. The creation of a revamped Career Center will produce a dramatic increase in the ways students can use the Oberlin network to advance their careers. New funding will expand innovative initiatives and help students connect with alumni, parents, and other Oberlin community members who are in a position to open career paths for them. "The capacity to convert challenge into opportunity and to approach life with a creative spirit of achievement will remain necessary for success in the 21st century. Our unique combination of the artistic and professional power of the conservatory and the intellectual vibrancy of the college sets us apart from our peers; it is the ideal combination for pursuing our mission of unqualified excellence." "What’s important when students leave Oberlin is that they can approach new questions, come up with new ideas, and constantly push at frontiers."